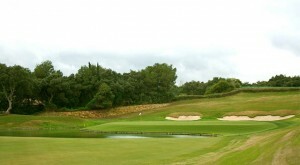 This world renowned club near Sotogrande, San Roque was originally opened. In 1974 as Las Aves and was bought in 1984 by Jaime Ortiz-Patino who alongside with Robert Trent Jones Snr. completely overhauled the course, rebuilding it to full USGA regulations. It has a long established history of prestigious hosting to its name. 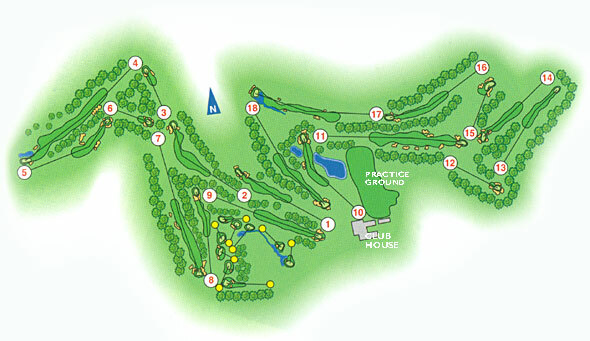 Between 1988 and 1996 inclusively, the Volvo Masters were played there. In 1997 it was host to the 32nd Ryder Cup. 1999 and 2000, the World Golf Championships, American Express Championships was held there, in November 2002 it was host to Volvo Masters Andalucia and it holds the No.1 European ranking in Golf World. It was also designed as a Certified Audubon Cooperative Sanctuary and in 1997 it was one of only 543 courses in the world to receive this honor. The first tee has 6 options, Professional, Championship, Executive, Ladies Championship, Senior and Ladies. Many of the holes were increased during the overhaul in size by 30%. The course is a well structured, immaculately presented challenge to all levels of golfers, with perfectly engineered fall away slopes, dog legs, elevated greens, water hazards and clever use of trees. Club de Golf Valderrama is a private members club, with limited starting times for visitors between 12.00 and 14.00. Visitors can only play twice in one month and no more than 7 times per calendar year. The club is closed to visitors during the month of August. Visitors must be over the age of 16 Only soft spikes may be worn and there is a maximum handicap of 24/32. The Clubhouse restaurant is open for dinner on Thursday and Friday evenings and there is a large buffet lunch available on Sundays. Valderrama is a legend in its own right, a classic, a unique experience not to be missed by the discerning golfer.